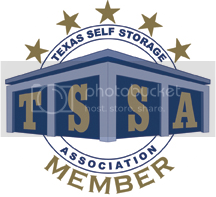 "We strive to be the Best and Stay the Best" Boat & RV storage facility on Lake Travis! Located near Austin, TX & Lakeway on the South Shore of Lake Travis and the gateway to the Texas Hill Country! When you rent from us, you'll have 24-hour access to your belongings. Rent your storage unit online anytime from any mobile device or desktop. Give us a call with any questions or schedule a tour! Austin Lakeside Boat & RV Storage Aerial Video! Austin Lakeside Boat & RV Storage now open! Rent monthly or with annual lease! Here are photos of our new Facility! Our Boat and RV storage units have concrete floors, insulated ceilings on the enclosed units with 12 foot and 14 foot high doors! Our driveways are super wide at 58 feet, so even the largest boats and RV's will have no problem getting in and out of their units. We also have a "Make ready" area to clean up before or after that road trip or a day on Lake Travis. It features a wash down area with spot free rainwater, a "car wash style" vacuum with 50 foot hose, an air compressor and trash dumpster. Security is our highest priority, we have 24 hour video surveillance of the entire site, on site owners, a highly secured keypad entry gate, security fencing, LED security lighting, and our SSL secure website keeps your personal information safe. We are a family owned business and our commitment is to provide clean, ready-to-rent Boat & RV storage with friendly helpful employees! Our facility is brand new and will be well maintained. Rent your unit and manage your account online from the convenience of your own home, 24 hours a day and 7 days a week. We are convenient to Austin TX, just 15 minutes from Lakeway and located 1/2 mile from Pace Bend Park on Lake Travis, near Briarcliff Marina.